This question is more alive today than any other when it comes to the news. And after witnessing countless casualities of once-thriving papers and magazines, it’s a question that papers here in Calgary can’t get away from. We were devastated to hear of the loss of Fast Forward Weekly (FFWD) which was not just a cornerstone of coverage for Calgary’s arts scene, a relevant collection of snapshots of the feeling of daily Calgarian life and a forthright fighter for city issues and against the macramé of conservative messages hovering over the city; to us, it was a paper to strive to be. FFWD gave us hope for the future of print, and what we are doing here, being very much alive. But does this mean that print is really dead? Maybe, although it’s hard to understand or accept, news is just changing. It’s not something that we were blind to — just something that we thought might happen way later and not to us (or the outlets we considered timeless). Despite the “man” making the decision to pull the plug for FFWD, weeklies that came before it or even ones to come after, the heart of what print media is trying to do may not be dead, but reincarnated. There is a rumour that FFWD’s website will still be around. We mourn the loss of the tactile weekly that got down to the heart of the issue (which we can’t say is the same for some bigger news outlets in Calgary). But there is still a feeling that an alternative source for news and entertainment — what FFWD gave to us — can’t ever really disappear. In that we are certain. It’s not print that’s dying — it’s the wrong print that’s dying. Don’t be blind to it. The real and needed voices in this city are the ones not being heard. That doesn’t mean these voices aren’t there — they’re being interrupted, like FFWD is. It’s a cutthroat industry, but you can choose the information you want more of. You can support it. You can stand up for it. 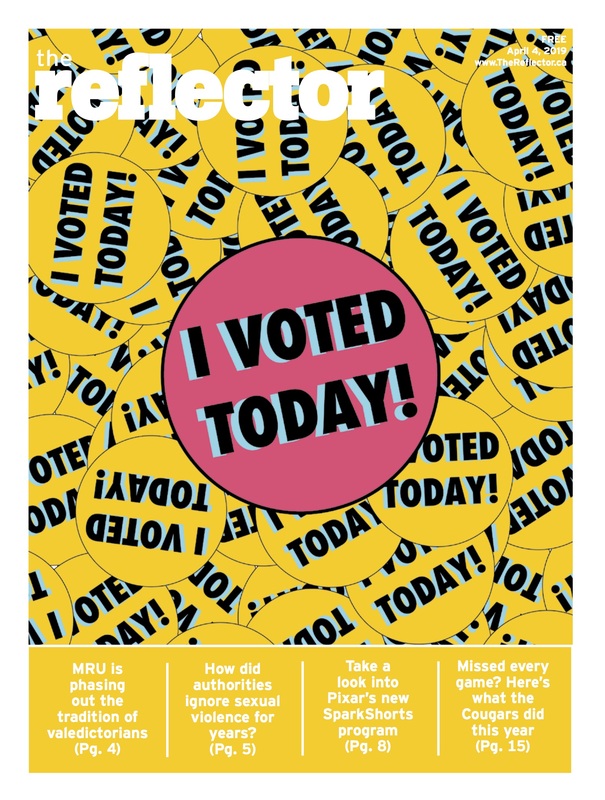 This issue of The Reflector hits stands on the same day as the last print issue of FFWD. Pick it up and give it a read. Get your friends to read it. Leave it on the bus for the next guy. Support alternative news. We can’t wait to see ffwdweekly.com come back. “Man” be damned. You can’t get rid of the cool kids that easily.